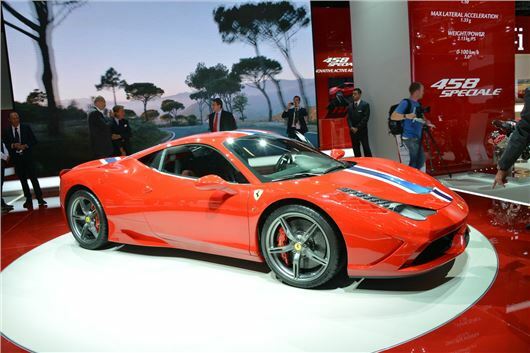 Ferrari has unveiled the new 458 Speciale at the 2013 Frankfurt Motor Show. 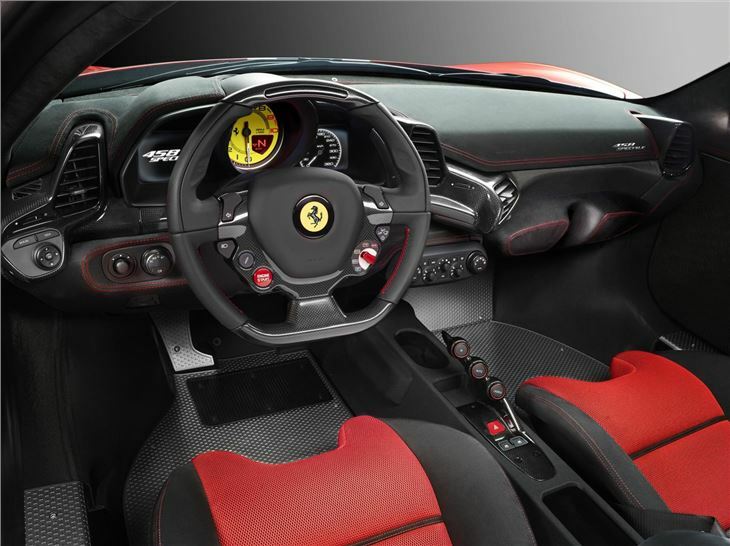 The Speciale receives an uprated 605PS version of its V8, which now develops 605PS. It can now hit 125mph from a standing start a little more than nine seconds, and goes on top 200mph. The Ferrari 458 Speciale's upgrades are focused on improving both performance and handling - while it also receives active aerodynamics, which will eventually find their way to the rest of the Ferrari range. 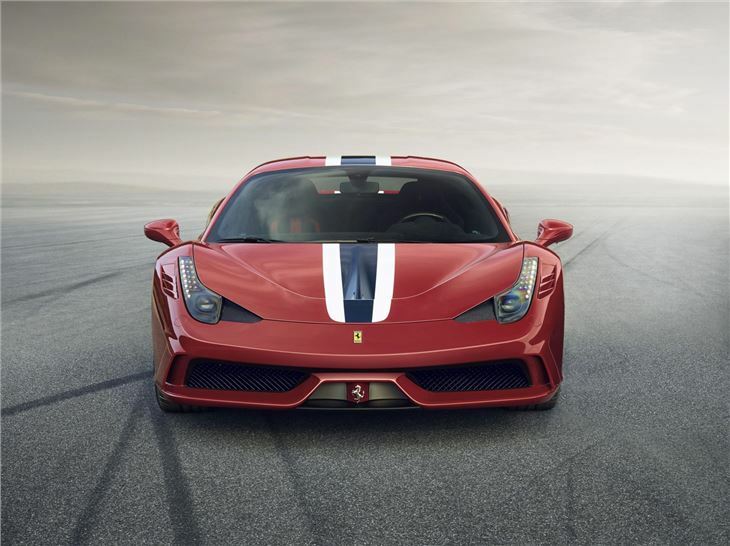 The already mighty 458 Italia has been topped at the factory's test track by some margin - Ferrari says the Speciale beat the standard car over a lap by 1.5 seconds to post a time of 1:23.5. Outright performance is where you would expect it to be - Ferrari quotes an official 0-62mph time of 3.0sec and a 0-124mph time of 9.1sec, although these are quite conservative. Kerbweight is 1290kg, and emissions come in at 275g/km. 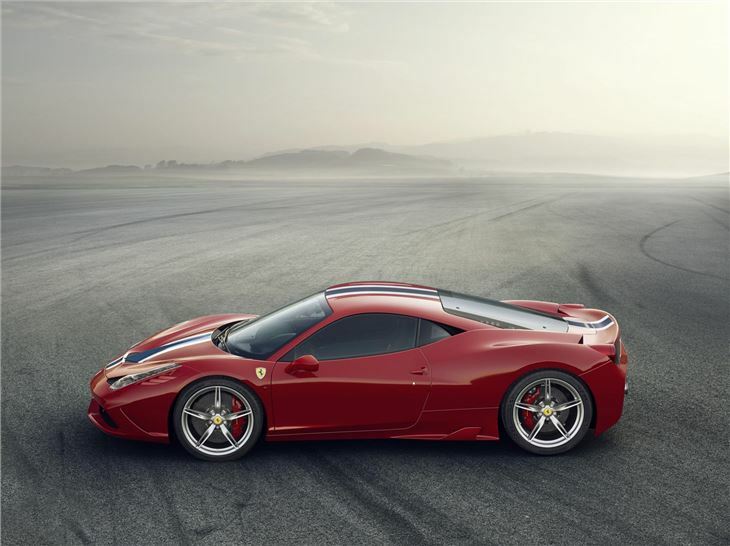 The biggest advancement on the 458 Speciale are undoubtedly on the aerodynamic side. 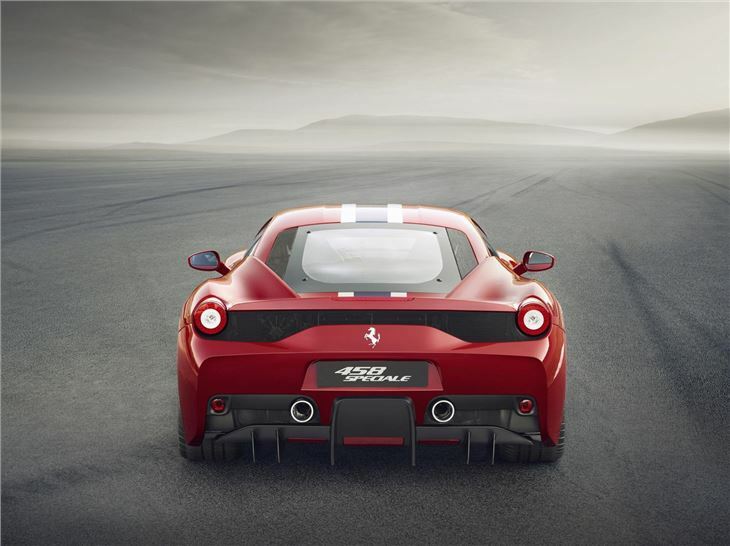 It receives moveable flaps front and rear, which Ferrari claims provides the best compromise between aerodynamic efficiency and downforce of any series production car. The driver electronic systems, which make this car so special to drive has also been tweaked. There's a new system called Side Slip Angle, which Ferrari says makes the car easier to drive at the limit. It measures lateral g-force, compares is with slip angle, and optimises torque through the traction control system. The net effect is you can drive and slide, quickly and confidently. Price and on sale date are yet to be confirmed by Ferrari.